The standing figures sparingly coloured and accentuated with gilt decoration, dressed in peasants clothing. The milkmaid, rests her pail on her hip, leaning with one hand and one foot on a set of steps. The goatherd holds a kid under his right arm, while resting on a wooden fence, with a flagon at his feet. 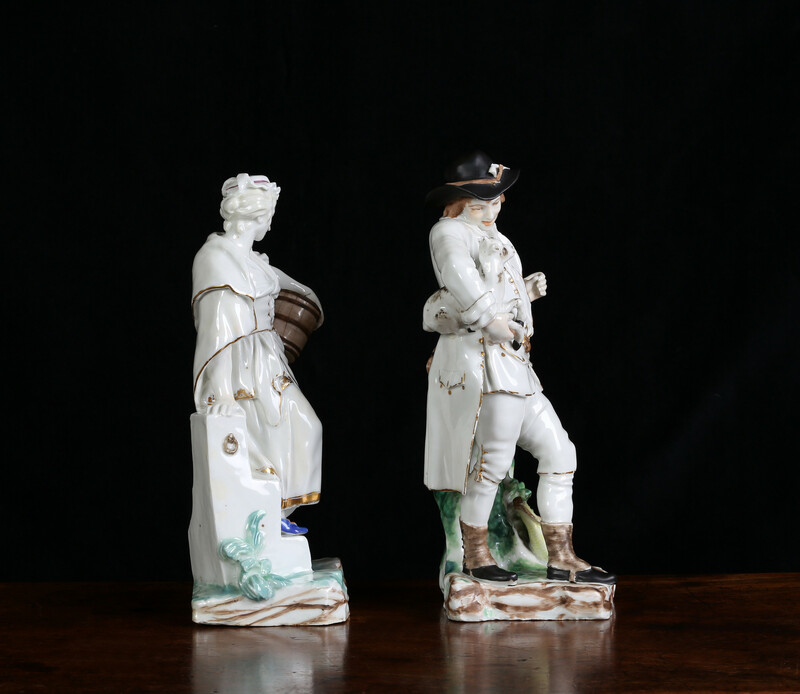 In partnership with William Cookworthy, Richard Champion pioneered the development of hard-paste porcelain in England buying Cookworthy out in 1774. 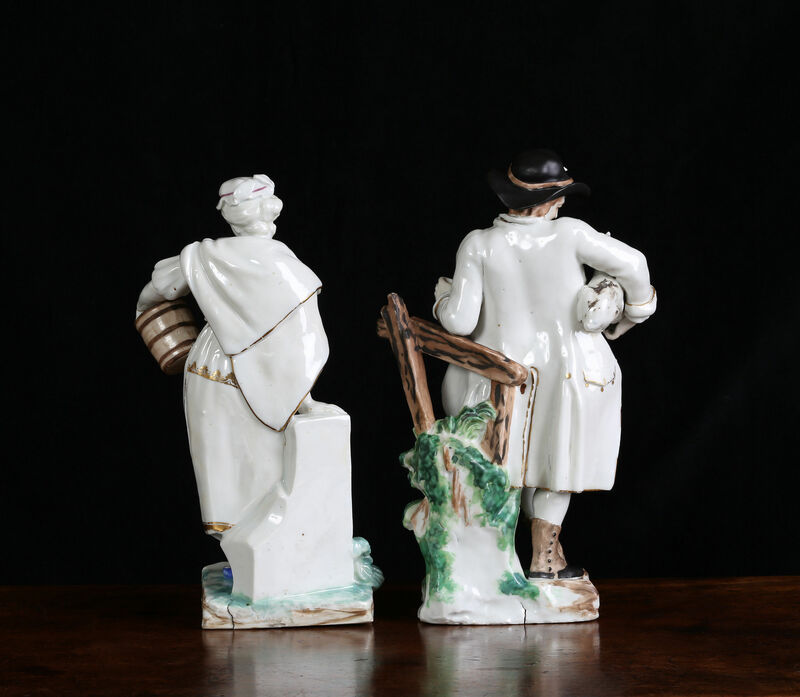 These were described by Arthur Lane as being ‘amongst the most striking of the English peasant figures’1. Lane and others have attributed the modelling to Pierre Stephan who, along with Nicholas Gauron, introduced a more accomplished style from Tournai and France. Another version of the goatherd in Fenton House, London, is impressed ‘To’ which has been, in the past, ascribed to various modellers but it seems more likely to be a mark of an unidentified mould maker. 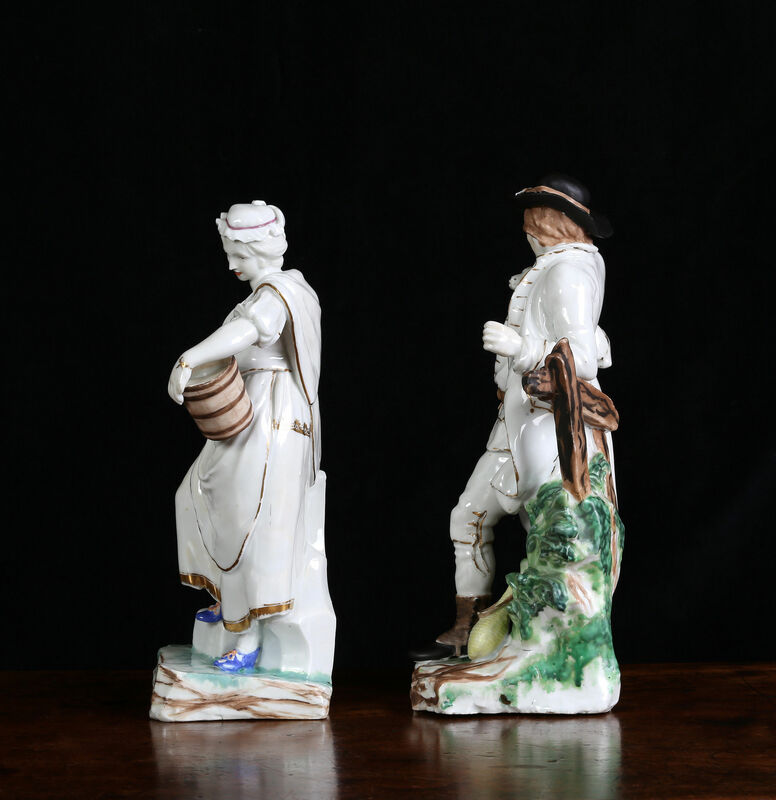 Stephan was described as French or as coming from a French speaking canton of Switzerland and was an important figure in English porcelain working and supplying models for Derby and later at Wirksworth and Coalport2. 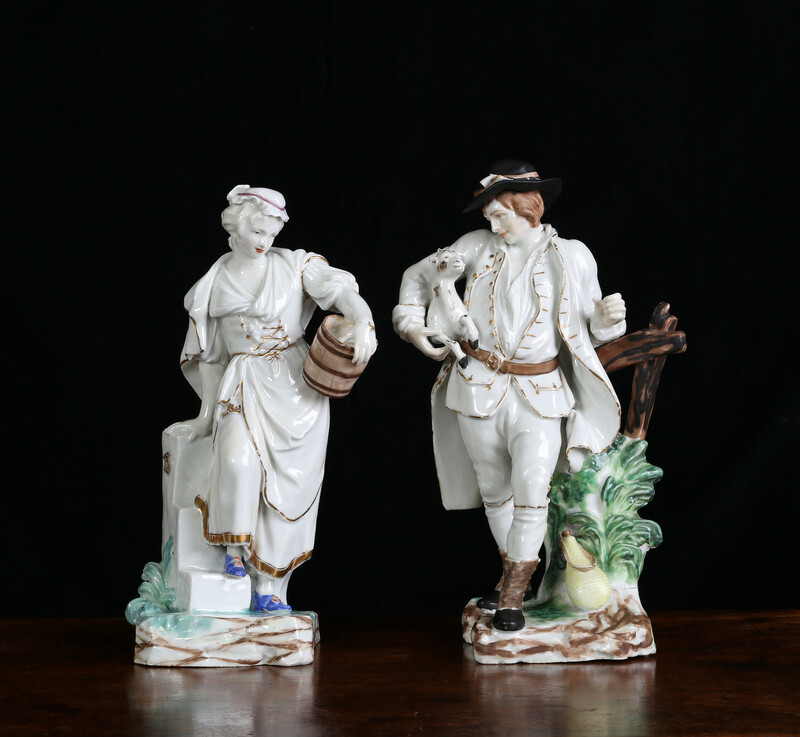 Arthur Lane, English Porcelain Figures of the 18th Century, (1961), p. 50. 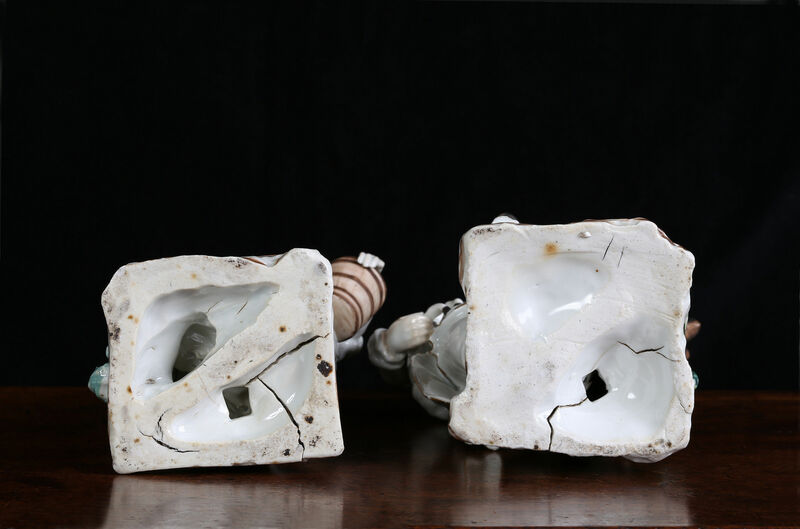 Hilary Young, English Porcelain 1745-95, (1999), pp. 106-108.